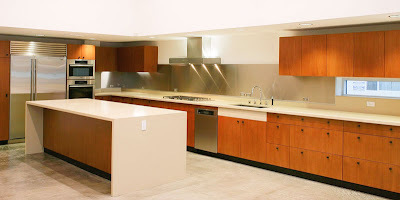 Kitchen and Residential Design: Reader question: Can I install my own quartz counters? 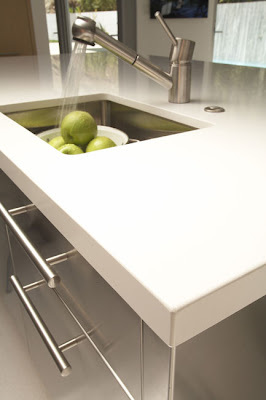 Reader question: Can I install my own quartz counters? Hi --I am interested in quartz but it is more than I want to spend. There is Riverstone quartz sold at Menard's that you order direct from the manufacturer and install yourself at substantial savings. Have you ever done this or do you have any info about it? I can't seem to find any reviews on it anywhere. Thanks. No ma'am. I have never been party to a DIY counter, I have no information on it and I cannot believe that someone's actually selling quartz composite counters this way. Please rethink this idea. 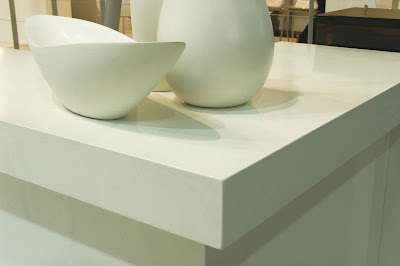 Working with stone and quartz composite is a highly skilled trade, a profession, for a reason. It takes a long time to learn how to work with these materials. Setting and seaming counters is as much an art as it is a trade and the men and women who perform this work earn every penny they get. Quartz composites are tricky materials and they're also very heavy. Suppose you go through with this plan and at some point down the road someone delivers a thousand pounds of counters to your house. Then what? Who's going to pick it up? Who's going to guarantee that your kitchen cabinets can handle the weight? Who's going to guarantee that the counter will sit on a perfectly level surface? I looked over Menard's website and sure enough, they are selling that composite material as a DIY project. I see too that they are cutting sink holes. Now my question is, who attaches the sink and who drills the holes for the faucets? What may look to you as a way to save some money looks to me like a recipe for disaster. Home centers are built around the fiction that anybody can do it themselves and save big bucks. Well, the truth is most people can't do it themselves. Most people can't diagnose their own illnesses, defend themselves in a lawsuit, tune up their own cars, invest their own money, rewire their homes, replumb their own bathrooms or grow their own food either. Unless you know exactly what you're doing, don't take on a project you can't complete with competence. A better way to go about this is to assess your total kitchen budget honestly. Figure out what you need and what you want and then assign a reasonable dollar value to each of those things. Add up your wants and needs and notice that it's probably a larger number than the budget you started with. That's OK, because the next step is the most important one. Figure out how to adjust your wants and needs to accommodate your budget. The best way to do that is to talk to actual trade professionals. Go to a counter fabricator and tell him or her, I have three thousand dollars budgeted for counters and I like quartz composite. What can I get for that money? Similarly, go to a kitchen designer and tell him or her, I have $15,000 to spend on cabinetry, what can I get for that? Then do the same thing with an appliance person and a flooring person and a plumbing person. Find out how far your funds will go, and remember that all you're doing at this point is gathering information. Go slowly and be methodical. Get all of your numbers together and your questions answered before you spend a dime. It may turn out that you can't afford a quartz counter. 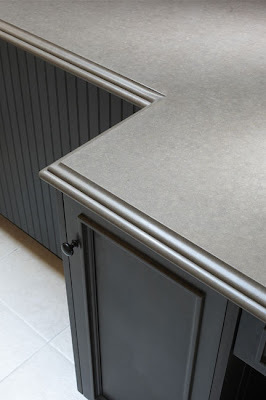 But what I suspect is that if getting a quartz composite counter is priority one, you will find a way to shuffle around the costs of the rest of your project to accommodate it. Find less expensive cabinetry, a less-expensive appliance package and less expensive flooring and before you know it, you'll be able to afford that counter after all. Budgets are made and broken in $100 increments, so keep at it and you'll find a way to make it work. Or you could just cut to the chase and go directly to a kitchen designer and let her or him put together a plan for the whole thing based on the budget you have. But of course I'll tell you that. Hah! In the meantime, good luck and stay out of Menard's. Wow - there's no way I would even dream of tackling a quartz counter install and I know a fair amount. You're bang on with your answer -- there's a lot of things one can DIY but this? I can see people getting seriously hurt. I can see them getting seriously hurt and seriously mucking up their counters. Saving a couple of bucks only to have to turn around and spend it all over again when you get in over your head is no way to meet a budget. This is as bad as using your Attorney's letterhead to write a brief for yourself. Tile counter tops, yes if you know what you are doing. Quartz and granite, no way! How on earth does Joe Homeowner lug around a 700-lb. counter with a sink in it? My mind reels. 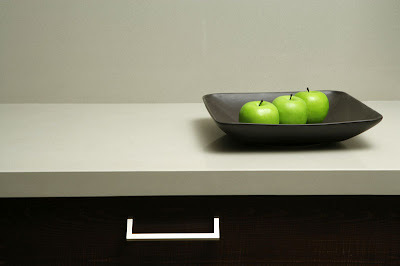 No way would I even think of attempting to install a countertop myself (well, maybe laminate, but that's it!!) Definitely leave it to the experts. Just make sure the people you're dealing with ARE experts. I'm still waiting for your blistering expose of the granite business in Ottawa Kelly. The mind indeed does boggle. Great post on the hazards of DIY projects, Paul. 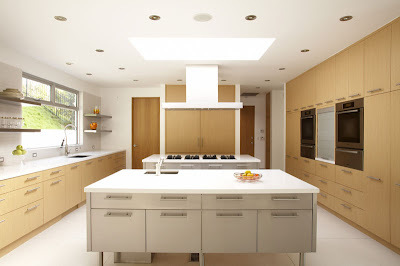 Many of those caveats apply in other areas of design and remodeling as well. It's madness. On one hand, home centers get people thinking about renovations and on the other, home centers trade in false hopes. 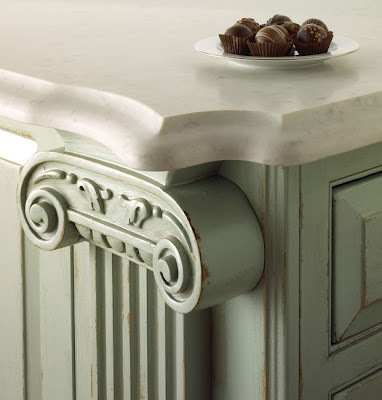 To increase the budget on counter tops, consider saving money by using pre-fabricated cabinets. IKEA has a great line of kitchen cabinets that fully utilizes each nook and cranny. As well, the As-Is bin in IKEA usually offers doors at $5-$20 each. If you have time, then this can save you a ton which can then be spent on the counter. I would invest into a good counter top since most of the cooking happens on the surface and takes the most abuse (i.e. hot pans, knives, accidentally dropped plates). Again... There are a lot I can do in terms of a kitchen reno (even the plumbing and electrical) but definitely not the counters. Great post! Hey there! Thanks for the comment and welcome to the blogosphere. I'll be watching as your project and your blog unfold this year. From one daily blogger to another, good luck and keep at it! Seriously? You guys think every DIYer is an airhead? Sure, there is always the typical idiot DIYer out there that TV sitcoms are made of, but its not fair to lump all DIYers into that mold. Thought I'd find some useful help & info here. What a disappointment. Sorry anonymous, but there are some things that aren't candidates for DIY and measuring, cutting and installing quartz composite or stone counters is definitely one of them. It has nothing to do with your being an idiot. Working with those materials is not something you can master in a weekend. I did my marble countertops including sink cutouts, faucet holes, backsplash, laminated the edges for an extra thick look and polishing. It was a pain, and a mess, but it saved me $36/ sf, around $3000, minus $400 in equipment. I had woodworking experience, and consider it similar. Lot of man-hours. Would do it again for a smaller project, don't know for another kitchen, though it would be much easier the second time. Oh, and I'm not the anonymous poster calling people idiots above. Tools used: circular saw with diamond blade, also moved the blade to a table saw for backaplash strips etc, friend to squirt water from a spray bottle while cutting, alpha polishing kit with diamond hole bits, and ogee bits for edges, clamps for the laminating, belt sander for edges, and a dremel for details. Anon: It sounds like you had quite a go of it. Based on your skills and the equipment you mention I'd say you're not a typical DIYer. I'm glad it worked out for you. I installed my own riverstone quartz counter tops it wasn't that horrible. They were heavy but a couple buddies and me set all 4 of'em. Installing the plumbing and creating my own custom cabinets were also pretty straight forward. The hardest part was keeping everything level and signing the bill.